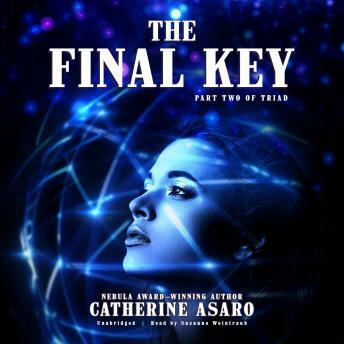 The Final Key is the completion of the duology Triad, which began with the novel Schism, and which reveals the epic story of how a war of galactic proportions first exploded between two great empires and how the Ruby Dynasty reached maturity. Schism ended with the Skolian Empire torn asunder by personal conflict within the royal family. With The Final Key, the Skolian Empire comes under all-out assault from its nemesis, the Euban Concord (Traders). They have undermined the Empire via subterfuge and assassination, leaving it ripe for conquest. The Skolian Empire's only hope? A young woman barely out of her teens who hasn't even completed her training as a cadet.